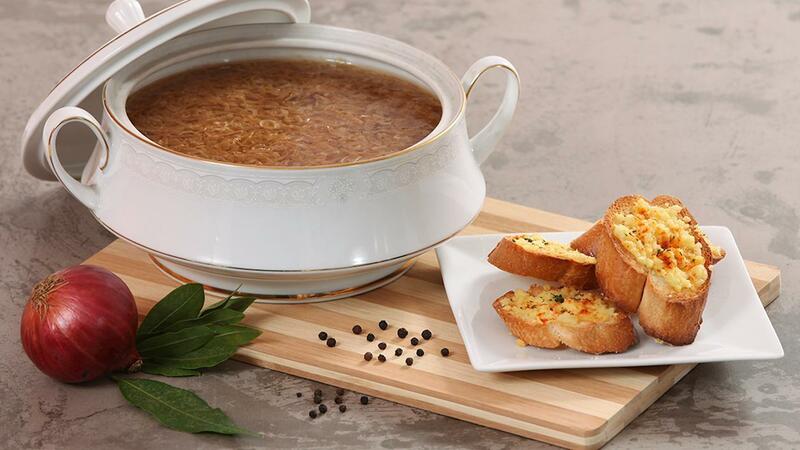 Our version of the French onion soup! Made with Knorr demi-glace powder and Knorr chicken seasoning powder, it is surprisingly easy to make and tastes a lot better than the scratch version. Try it out on your menu today. Heat the Astra Fat Spread in a thick bottom pan and sauté onions, garlic& bay until golden brown. Mix Knorr Demi Glace Brown Sauce Mix, Knorr Chicken Seasoning Powder with water separately and add to the onion mixture. Bring to boil & and simmer for few minutes.